Diggerland USA, the construction-themed adventure park in West Berlin NJ, has announced plans to host the first of many special needs event this summer. 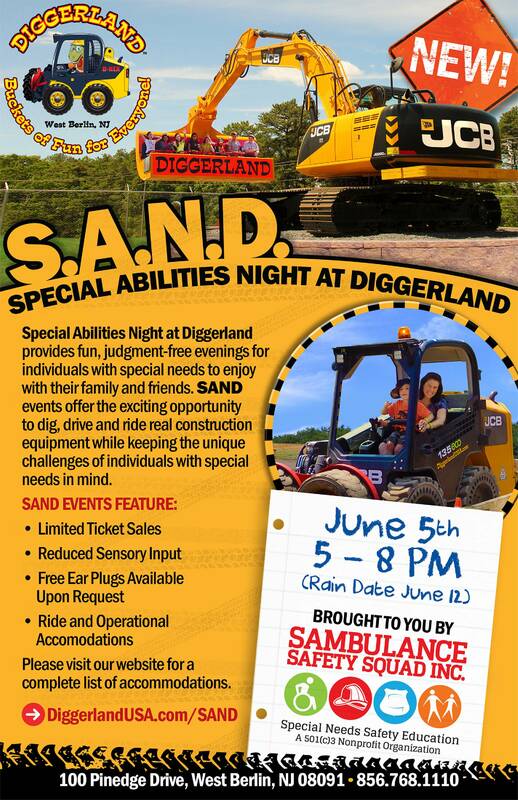 The event, Special Abilities Night at Diggerland, or SAND, will take place Friday, June 5, 2015 from 5:00 – 8:00 p.m.
Diggerland USA, the construction-themed adventure park in southern NJ, has announced plans to host the first of many special needs event this summer. 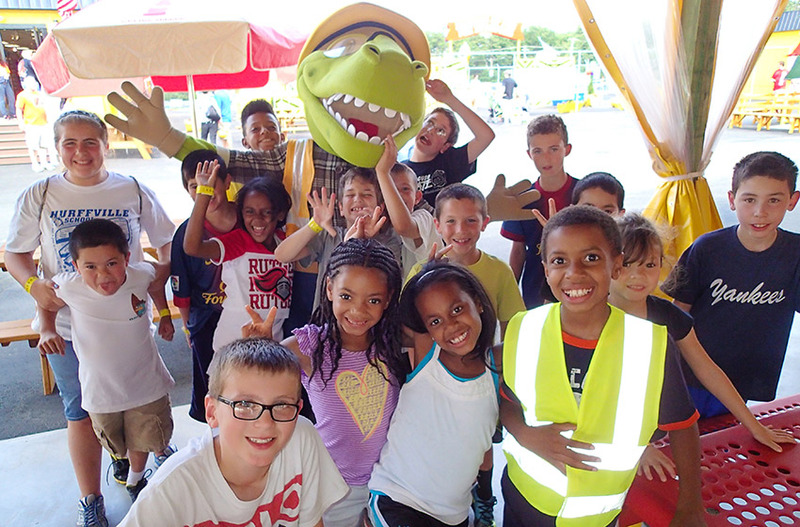 The event, Special Abilities Night at Diggerland, or SAND, will take place Friday, June 5, 2015 from 5:00 – 8:00 p.m. The most recent Special Evenings at Sam’s, or SEAS, event took place March 6, 2015 and gave attendees the first preview of the SAND event. “We have a lot of families that come to all of our SEAS events so we wanted to share the details of the SAND event with them first,” said Annie Peters, executive director of the SAMBULANCE Safety Squad. The SAMBULANCE Safety Squad is a 501(c)3 that educates individuals with special needs about safety. As part of her work with the SAMBULANCE, Peters visits schools throughout the state with complimentary programming. Special needs events for Sahara Sam’s and Diggerland are made possible by and managed through the SAMBULANCE Safety Squad. For more information about Diggerland USA, read our review, check out some photos, and read about the 2015 opening.